Did you ever want to smoke a joint? 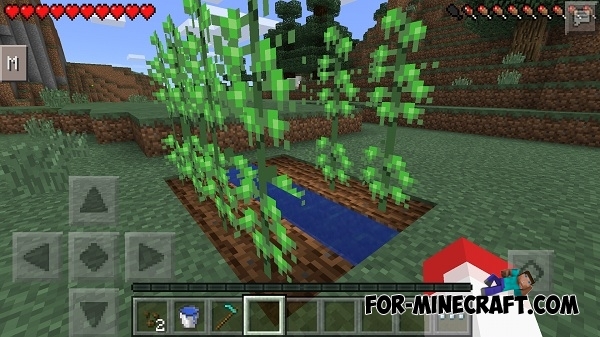 You will have this opportunity after installation Weed mod for MCPE 0.14! With this mod you will be able to grow the real field of cannabis, and then be able to use it to create a joint. First you need to get cannabis seeds. 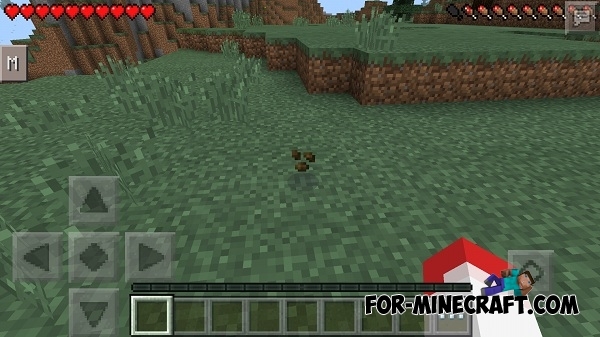 The seeds drop out of the ordinary grass. Now plant the seeds as a normal wheat, and then the cannabis bushes will grow after some time. Just tap on these bushes to get cannabis bush. Now when you have prepared a joint, you can smoke it. To do this, simply tap on the ground and you get the effects of nausea and hunger.